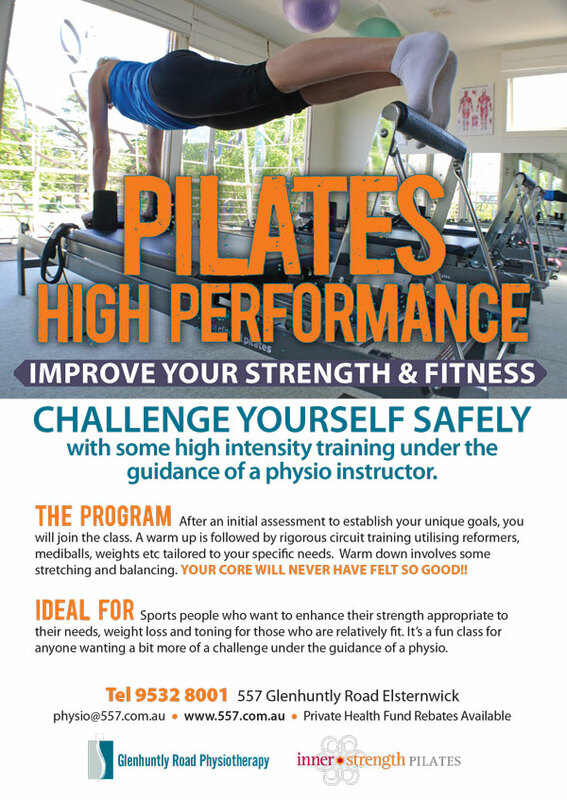 Is High Performance Pilates your next step? Power up your Pilates session and join Susan on Tuesdays and Fridays for a super charged cardio intense Pilates program, that will take your body, mind and spirit to a new level of performance. It’s a fun class for anyone who is ready for a challenge and is run under the guidance of an experienced physio. Why not give our clinic a call on 9532 8001 and book in for this program now.